50% OFF! Inkax iPhone Travel Adapter Charger with Lightning Cable worth Rs. 1,100 for just Rs. 550 Inclusive Of Warranty! The Inkax High Speed Travel Adapter Charger with Lightning Cable can be used with any iPhone device with lightning port as iPhone 5/ 6/ 7. Carry it with you wherever you go and never run out of power.don't risk running out of power at the moment when you need your cell phone the most. By keeping this wall charger handy while at home or at the office, you can be sure that your iphone will always be fully charged and ready to go. 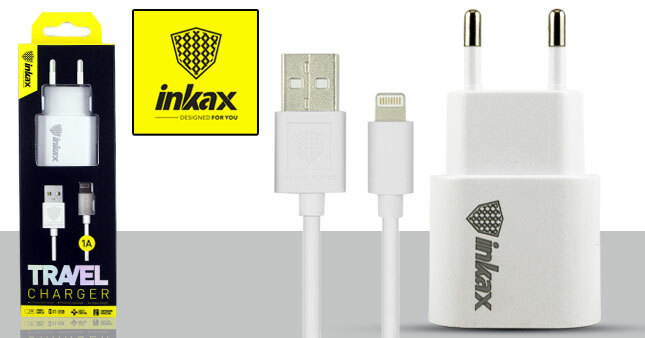 Voucher is valid only for one Inkax Travel Adapter Charger with Lightning Cable.